Transfer Contacts, Messages, Photos, Music, Video, Call log, etc from Android to iPhone. 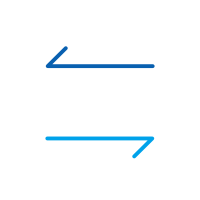 Transfer from HTC, Samsung, Huawei, Motorola and more to iPhone X/8/7S/7/6S/. Works perfectly for more than 6000 devices. Want to switch from Android to new iPhone? That's really nice. However, I guess that it may worry you a lot for how to transfer data from Android to iPhone. Actually, you don't need to worry about switching from Android to iPhone at all. 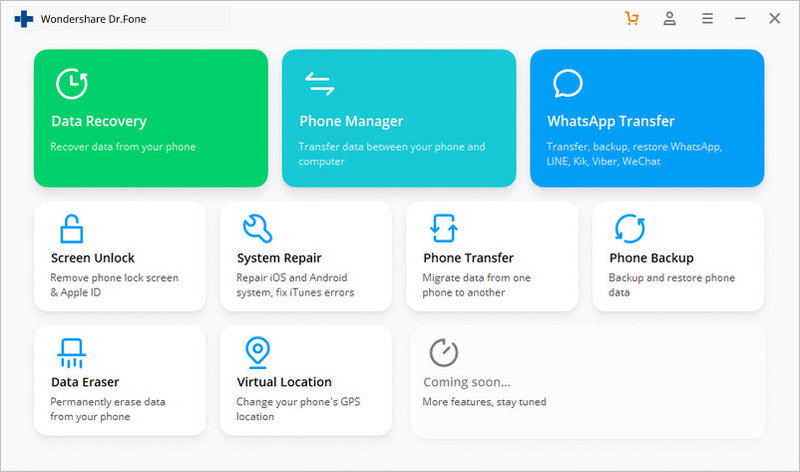 There are some ways available for you to transfer content from Android phone to your iPhone, making it for you migrate all your important data safely. Check out the available ways to transfer data from Android to iPhone. below and choose the one that's right for you. Note: All the ways mentioned below for how to transfer data from Android to iPhone are available to almost any latest Android phones running Android Lollipop and Marshmallow and iPhone running in iOS 11 and iOS 10, including iPhone 7, iPhone 7 Plus, iPhone 6s and iPhone 6s Plus. 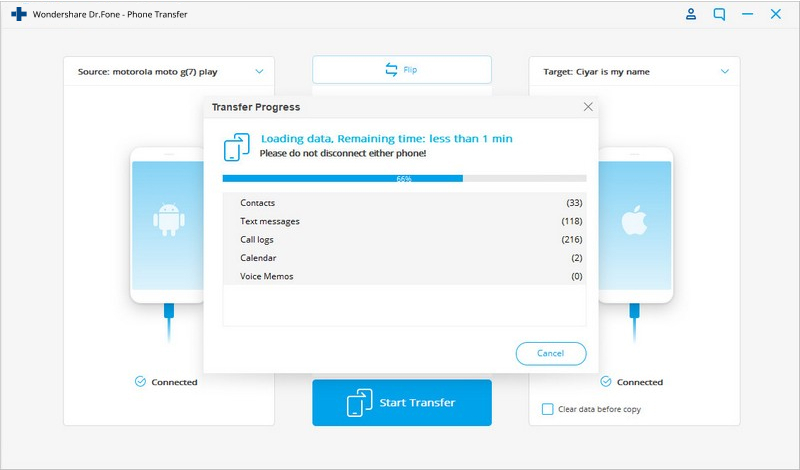 If you have a new iPhone, feel free to use the ways to transfer data from Android phone to your iPhone 8/7S/7/6S/6 (Plus). Suffer greatly from the slow speed to transfer Android data to iPhone 6s (Plus) little by little? You don't have to. 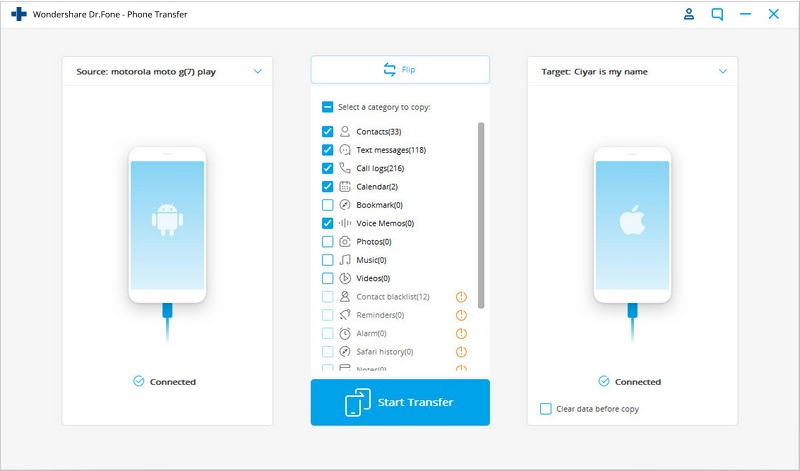 Here is a powerful Android to iPhone transfer tool - dr.fone - Switch, which helps you transfer contacts, photos, video, photos and music from Android to iPhone X/8/7/6S/6 (Plus) with 1 click. In addition, it's the first software in the world to support transferring messages from Android to iPhone. 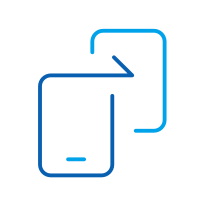 Easily transfer contacts from Android to iPhone 6s (Plus) or iPhone 7 (Plus) with full contact info. Contacts in account: dr.fone - Switch can transfer contacts on Twitter, Facebook, Google and any account supported by your Android device. Therefore, please make sure whether you want to transfer contacts in the accounts or not. If yes, please sign in the accounts on your Android device. One-click Backup and Restore: Use this mode when you only have one phone at hand. Just backup data on your Android phone to computer, and restore to your iPhone 6s (Plus) whenever you need. Run dr.fone - Switch, the best Android to iPhone data transfer tool on the computer, and you will see the window as follows. After then, connect your Android phone and your iPhone with the computer via USB cables respectively. 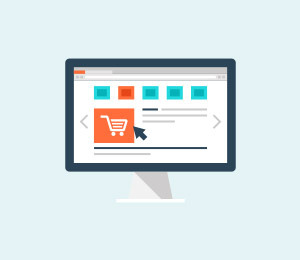 Make sure that both devices can be successfully detected by your computer. In the main window, choose the "Switch" mode, and you will see the program displays as follows. You can use the "Flip" button to switch the places of your phones and make sure that the iPhone is the destination one. After then, you can see that all contents that can be transferred are listed in the middle of the window. Check the wanted files and click "Start Transfer". A small dialog pops up, telling you the percentage of the progress bar. During the process, never to disconnect either device. Then all the data will be transferred from Android to iPhone X/8/7/6S/6 (Plus). As we can see above, we can transfer data from Android to iPhone by dr.fone - Switch. It is easy and efficient, but it is not free. If you'd like to find a free way to transfer data from Android to iPhone 6s or iPhone 7, please check the blow parts. To transfer Android contacts to iPhone X/8/7/6S/6 (Plus), you can save all contacts on the Android SD card, and upload to your accounts, like Google, Yahoo!, iCloud, and then sync to your iPhone X/8/7/6S/6 (Plus). In the following part, I'd like to show you how to make it via Google account. Step 1. On your Android phone, go to Contacts app. Tap the button on the left of the home button to show the menu list. Tap Import/Export. Step 2. 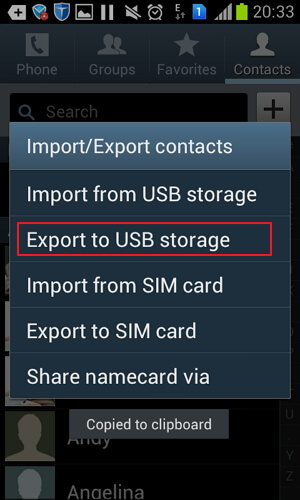 Click Export to USB storage > OK to save the contact list to your SD card. Connect your Android phone with your computer via a USB cable as a disk. 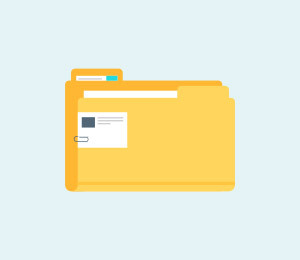 Open the SD card file to export the vCard file to your computer. Step 3. Open your Gmail webpage on your computer. 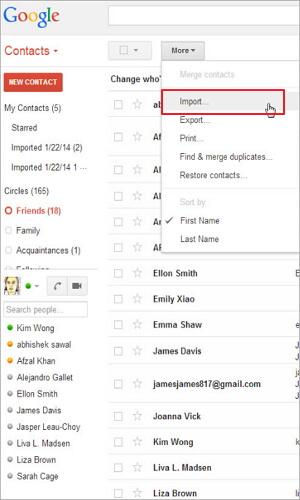 Click Gmail > click Contacts to show the contact control panel. Click More > Import…. > click Choose File to select the vCard file you have saved in steps 2 to import it. Step 4. On your iPhone, click Settings > Mail, Contacts, Calendars > Add Account... > Google. 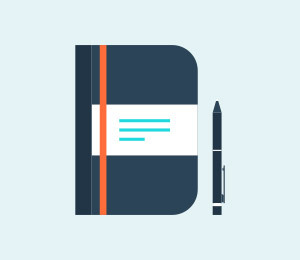 Log in with your Gmial account and tap Next to finish the setup. Turn on Contacts. 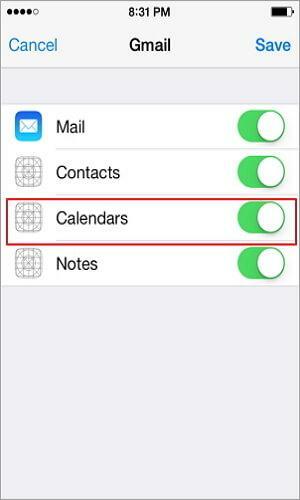 Then, contacts will be synced to your iPhone). Your Android phone features the Google sync and enjoy syncing all your important calendars to Google account. Great. You can sync calendars from Google to iPhone X/8/7/6S/6 (Plus) easily. 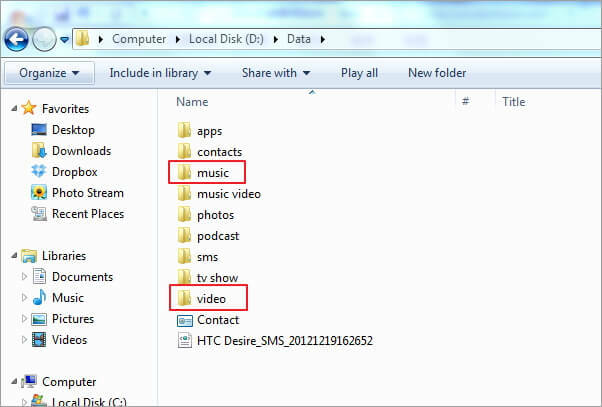 Combine these two steps, you can transfer data from Android to iPhone successfully. Step 1. On your Android phone, click Settings. Scroll down the screen to find Account & sync. Find your Gmail account and tap Sync Calendars. Then, tap Sync Now to update the calendars to your Gmail account. Contacts can also be synced at the same time. Step 2. 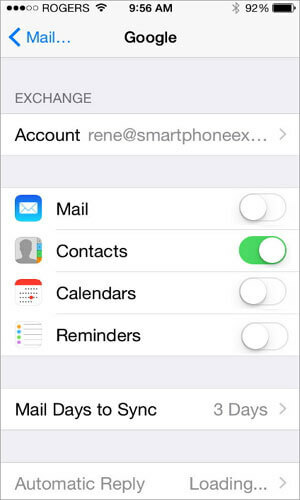 On your iPhone 6s (Plus), tap Settings and go to Mail, Contacts, Calendars and click Add Account…. Choose Gmail and enter your Gmail account info, like name, email address, password. Tap Next and turn on Calendars, Email and Note. Then, the syncing process begins. Can't wait to bring music and video on your Android phone to the iPhone X/8/7/6S/6 (Plus)? No problem. iTunes can do that for you easily. Step 1. Connect your Android phone to the computer and save music and videos on it to the computer. Install iTunes on the computer. Run it and get your iPhone connected with a USB cable. Step 2. In the iTunes Window, click File > Add Folder to Library…. 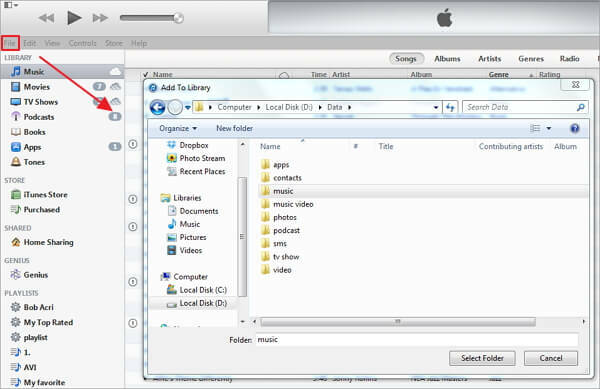 Browse your computer to find the music and video folder and transfer video and music to iTunes Library. Step 3. Click your iPhone under DEVICES to get the iPhone control panel. 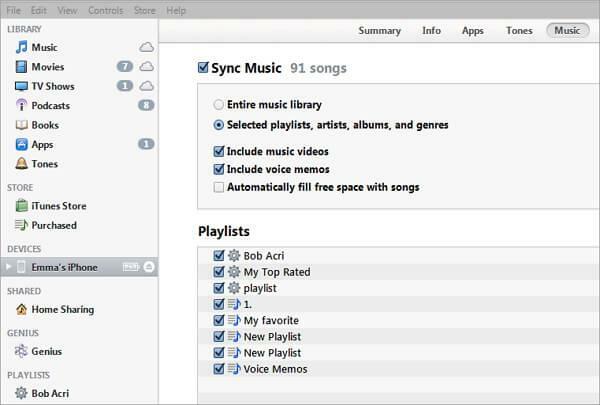 Click Music tab > Sync Music. Tick your wanted music or playlists and click Apply. Step 4. To transfer video from Android to iPhone, you can click Movies, TV Shows or others video categories. Then, Tick your wanted videos and click Apply. What to run Android apps on iPhone? To your regret, Android apps don't work on the iPhone (iOS 11 supported). 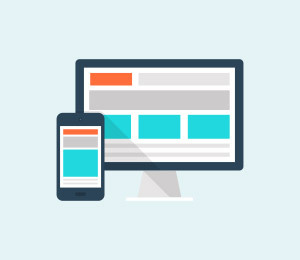 However, many Android apps have iPhone versions or replacements that do the same things. 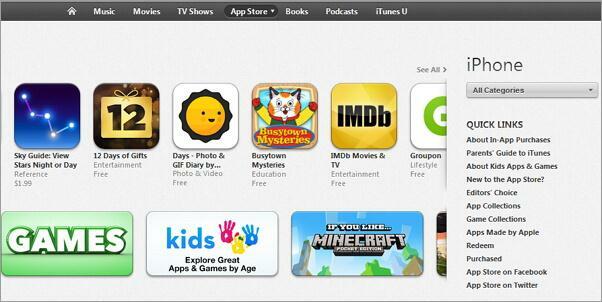 You can search and get such apps from App Store in iTunes easily. Additionally, if some apps needs you to create an account for playing or stores your data in the cloud, the data will come with you when moving to the iPhone. Or, the data will be lost after install them on your new iPhone. Thus, after switching from Android to iPhone, you can get what you want from the App Store or search the internet for getting the best free apps for iPhone X/8/7/6S/6 (Plus). You probably don't want to lose hundreds of thousands of photos which record your priceless memories. Here is a way out. To transfer Android photos to iPhone, you can draw support from iTunes. At the very beginning, mount your Android phone on the computer as a USB drive. 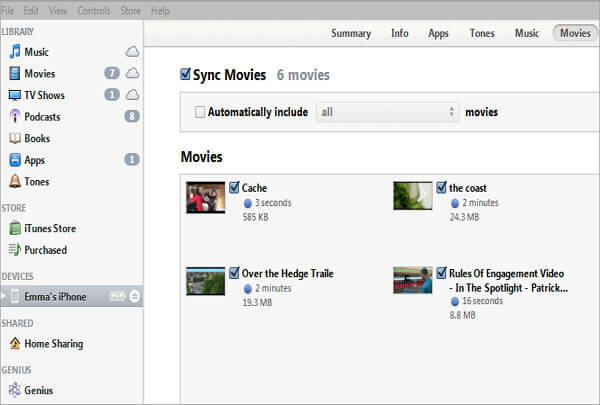 Drag and drop all your desired photos in a folder on your computer. Connect your iPhone to computer by plugging in a USB cable. By clicking your iPhone, you get the control panel. 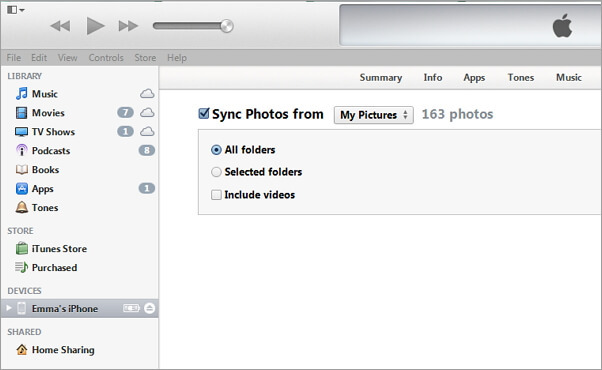 Go to Photos and tick Sync Photos from and find the photo folder. 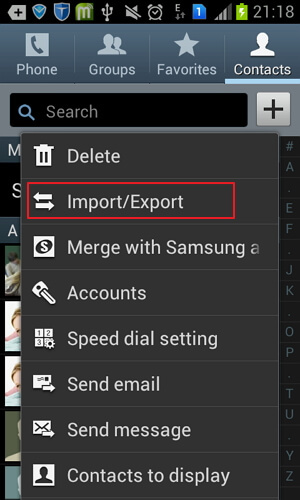 Go to the lower right corner and click Apply to sync photos from Android to iPhone. Want to bring your documents, like Excel, PPT, PDF, TXT, DOC and more to your new iPhone for viewing on the go? To make it, Dropbox is a good helper for you. 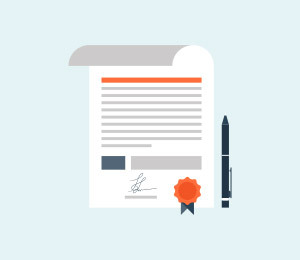 It lets you upload your wanted documents to to cloud without any hassle. 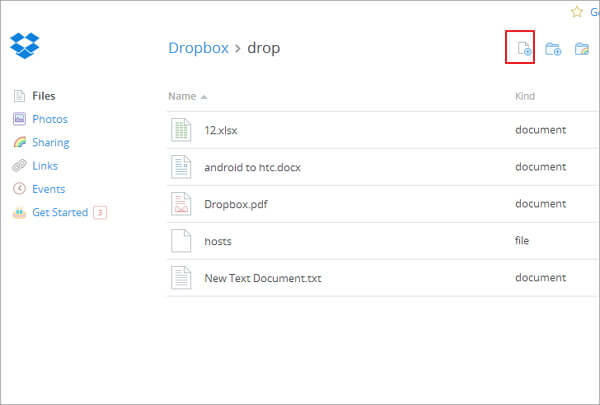 Then, launch the Dropbox on your iPhone to view or edit any documents you want. 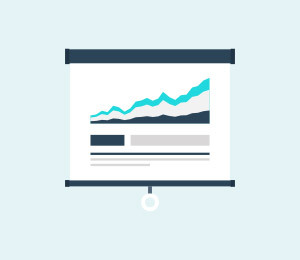 Learn more about Dropbox. Switch from iPhone to Android? This article will guide you to transfer all your data from iPhone to Android in a easy and effective way.